As we embark upon the 2016 fantasy football draft season, there are so many components that go into piecing together a good team on draft day. Should you load up on running backs early and often? Should you dip your toe into the Zero RB waters? Draft a quarterback early or wait on the position? Take chances on unproven, high-upside picks or go with proven veterans with limited ceilings? Go after Gronk or wait on tight ends? Regardless of the draft strategy employed, one thing no fantasy owner escapes is having to maneuver around bye weeks during the football season. Today, I will discuss whether bye weeks matter when drafting a team and how to approach them during your draft. 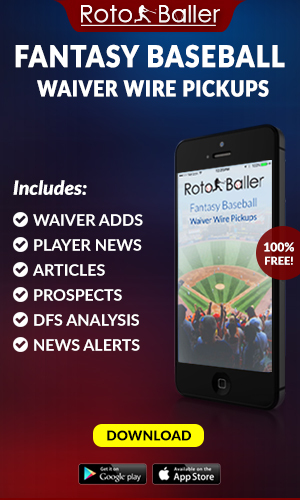 Editor's Note: RotoBaller offers the best Premium MLB Subscription - only $1.99 per week. 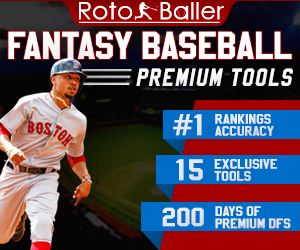 All the tools you need to help win your seasonal and daily leagues: Hitter & Pitcher Streamers, Matchup Ratings for every player, Under-the-Radar Surgers for AVG, HR, Ks, plus daily DFS Cheat Sheets, Lineup Picks, Expert Lineups, Stacks and Avoids. Everyone has seen this happen at one point or another. A leaguemate drafts a lesser player due to concerns about having too many players with the same bye week, while voicing aloud at the draft, "I can't have too many players out in Week 9, it will kill my team". This is a poor strategy and is never a concern that should enter a drafters mind while making picks in a fantasy draft. It is a sound strategy to almost completely ignore bye weeks when drafting a fantasy football team. Here's the reason why: When heading into a fantasy draft, the number one goal should be to acquire the best player available in each round. If an owner is allowing bye weeks to decide which players they take, then the best players on the board will not always be the ones that the drafter is taking. a). 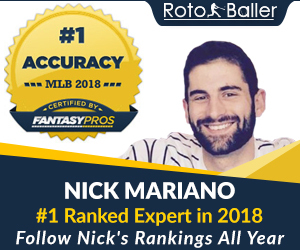 put together the best team possible and have the optimal lineup throughout the season outside of one week where several of your players are on their bye week. b). put together a team where no byes overlap, but you drafted less than optimal players to do so. Keep in mind you will likely be weakened by missing at least one key player in most weeks where there's a bye. It makes much more sense to build the best possible team while at full strength week in and week out and then take your chances on the week where byes become an issue. Anything can happen in a given week, anyways. Even with many of your players on a bye, with a bad week from your opponent, you can end up with a victory despite starting normal bench players. Another reason not to plan around bye weeks centers around the random nature of injuries in the sport. Because of injuries, it is poor planning to draft a team in late August with an eye on who will be off in Week 9 or 10. 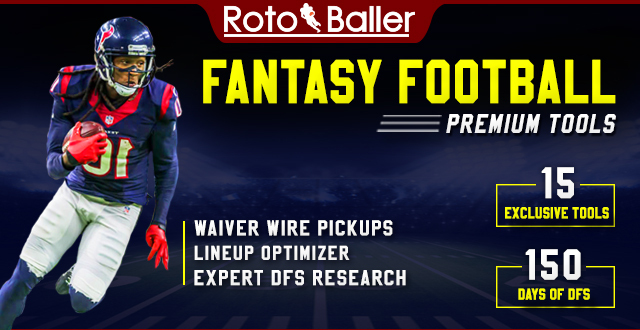 The fantasy landscape will assuredly be vastly different by the time the final third of the season is upon us, many of your players taken on draft day will be cut for waiver wire gems or traded from your team by the team they reach their bye week. This isn't to say that bye weeks shouldn't come into play at all. Byes can be used as a tie-breaker if you are having difficulty deciding between two players you value extremely closely. Just make sure that you are comparing two players who are otherwise considered equals. Also, in the event that you are drafting a backup quarterback, which I do not recommend, you will want to make sure they don't share the same bye week. Otherwise, you are just wasting a roster spot. 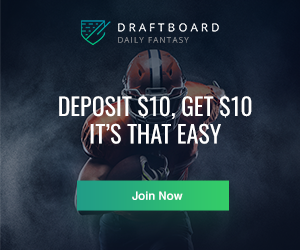 If having multiple players sharing a bye still makes you nervous, consider the following tip to help offset that dreaded week where all your players are inactive. Keep a close eye on the waiver wire. Use the last spot on your roster to cycle through players who are one injury away from holding prominent roles for their teams. If you pick up this year's David Johnson, then you won't have to worry about the week Le'Veon Bell is on bye because you will have a solid replacement waiting in the wings. This is a much better use of a roster spot than carrying a backup quarterback or extra team defense. Fantasy drafts can be a stressful time, especially when your name is on the clock. Do yourself a favor this draft season and cross off the column on your cheat sheets where each player's bye week is listed. You won't be needing to look anyways. Not while you are well on your way to drafting the best possible team. Instead of worrying about who has byes and when they are, focus your energy on drafting the best available player each round.